The FAWL in Love with GAL project connects FAWL members with older youth in foster care. The Florida Association of Women Lawyers (FAWL) and the Statewide Guardian ad Litem Program (GAL) have launched a partnership in which attorneys will be mentors for young women aging out of foster care. FAWL president Jennifer Shoaf Richardson says her members are excited about volunteering one hour monthly to mentor teen girls who are close to aging out of the child welfare system. "I think many people – and especially foster youth – just need to be pointed in the right direction as far as the questions they need to ask and getting connected to the wonderful resources that already exist," Richardson says. 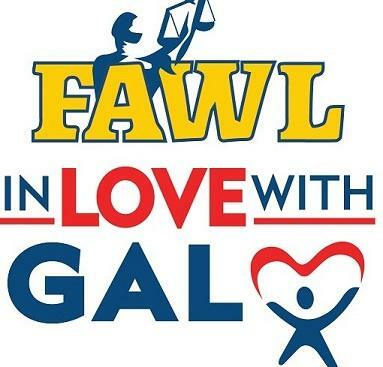 So the "FAWL in Love with GAL" pro bono mentoring project will kick off with a statewide series of training events, the first in Tallahassee on April 26th. Studies show teens who age out of foster care without a family are four times more likely to enter the criminal justice system and 17 times more likely to be homeless at age 21. But those with mentors achieve higher educational, economic, and social outcomes. What's more, people who succeed in life nearly always have mentors according to Thomasina Moore, Guardian ad Litem's Director of Pro Bono Initiatives. "We want to give these youth the same chance at success other people have had by providing a mentor for the nearly 1,000 teenage girls that are close to aging out of foster care without a permanent home," she says. Guardian ad Litem will transport the teens to and from the lawyers' offices. Governor Ron DeSantis has issued a proclamation making April Child Abuse Prevention Month. At a news conference at the Capitol Tuesday morning, the governor also announced the appointment of the First Lady to chair the Florida Children and Youth Cabinet. Casey DeSantis says she’ll work with residents who relied on state services growing up. The Florida Association of Women Lawyers (FAWL) is holding its annual Lobby Days in Tallahassee this week. Members are hearing from policymakers and visiting lawmakers, and they’re looking to expand their good works. On Monday, FAWL members heard from Attorney General Ashley Moody, Agriculture Commissioner Nikki Fried, Department of Juvenile Justice Secretary Simone Marstiller, and Senate Minority Leader Audrey Gibson. More than 400,000 American children are in foster care, and 25,000 of them are in Florida. Their average length of stay is 25.3 months, according to the Ackerman Institute for the Family – and they have rates of post-traumatic stress disorder similar to veterans of war. Shannon Carroll owns and operates Redemptive Love Farm in Tallahassee. She and her husband have adopted 7 children and fostered many more. The Florida Guardian ad Litem Program represents abused, abandoned, and neglected children in the state's dependency courts. Minority children are disproportionately represented there. So the program is turning to Florida A&M University's School of Journalism and Graphic Communications for help in recruiting volunteers who are male, young, or members of minority groups. Last year, Guardian ad Litem (GAL) represented more than 39,000 children with about 13,000 volunteers. The average volunteer tends to be older, female, and white.